Greater things await us as followers of Jesus. All throughout Scripture God declares to His people that when we remain faithful to Him our future will always be greater than our past. I’m reminded of God’s promise to His people in Joshua 1:3. He declares I will give you every place where you set your foot. This is a promise to Joshua that he will receive an inheritance as he steps forward in faith. God has given Israel land but they must move forward and take possession of it. I believe this is a prophetic declaration for our church. God has great things in store for us as a community of faith: to expand our territory both spiritually and physically. Our calling is to step forward in faith to receive His promises. God is so good! Our church has been offered a generous donation of land in the city of Newberg. After prayerful consideration, the leadership of our church, which includes the Senior Pastor, Council and Pastoral Staff, all agree this is an opportunity that God is miraculously providing. You can view the location of the land here. Read below to see the most recent updates and next steps. We have a reason to celebrate! 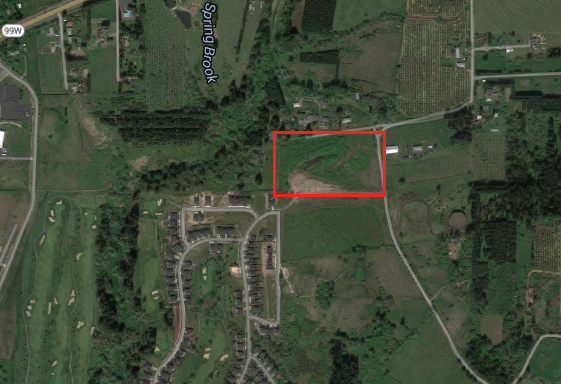 As many of you know, several months ago we were offered 3.5 acres of property in Newberg. Since then we have done our due diligence on this property and came to a few conclusions. First of all, God has given us great vision for a future facility. A place where we could seat 600 people and make our building useful for our community. Secondly, in order to build a facility of this size with adequate parking, we would need at least 6 acres of land. As you can see, the property isn't big enough for the vision God has given us. So why should we celebrate? Shortly after it became clear that this particular piece of land wasn't God's plan for us, we were offered another piece of land. A much larger piece of land! In fact, it's exactly what we need for a church building. It is a beautiful 10 acre plot just east of Newberg. You can view it here. It is moments like these that cause me to stand in awe of God. I am completely amazed at his provision and faithfulness to us a church. I look forward to our future together as we learn to trust God's plan and purposes for each one of us. Listen to our property meeting to hear answers to the most frequently asked questions.